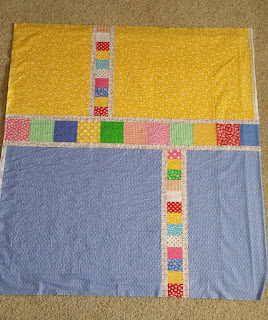 My February OMG was to quilt the 3rd of the baby quilts made from Windham Brights precuts. 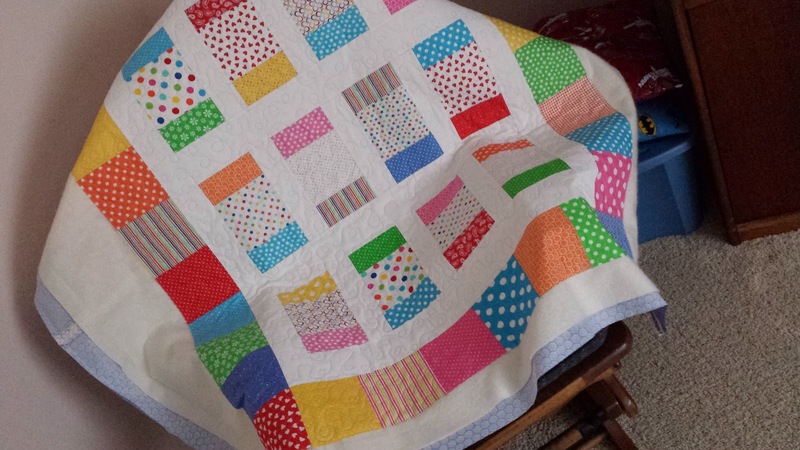 It proved to be the greatest challenge I have faced with Patience, my HandiQuilter 16. Mounting the back so it would roll straight was the issue. I finally got it on satisfactorily and the design is straight but not exactly positioned where I wanted on the back of the quilt. Adding a label at the center bottom should balance it better. 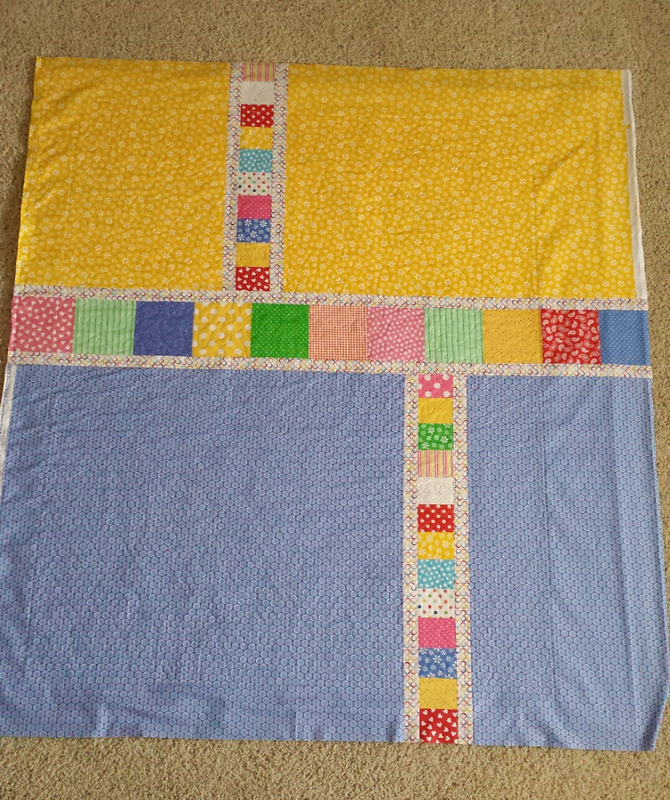 There is one spot that has some slight rippling but when the quilt is washed, it should be disguised by the crinkles in the cotton batting. Maybe next time I won't plan such a challenging back to mount and roll straight and I will get my blog post linked on time. I missed it but will try again. when posting a comment what does "choose an identity? Helen, if you have an online presence, Blogger wants to know which one you want to use. Cheryl, in one of the comments above, is a Blogger user so her identity is the "B" from that. I have used both Blogger and Wordpress so I get both options when I post comments plus a couple of others. Google+ was how your comment was identified.